You can read about the numerous media write-ups and interviews that have featured Samahita over the past 15 years. Paul Dallaghan is the yogis’ yogi, an internationally renowned teacher who’s more interested in scientific research than celebrity endorsement, so while other instructors busy themselves doing DVDs, he’s working on a PhD about the benefits of the ancient discipline. That pioneering work keeps him at the USA’s prestigious Emory University, Atlanta, for much of the year, but his heart belongs to his lovely low-key retreat on Koh Samui’s sleepy southern tip. Samahita Retreat has chosen a sanctuary in the sand for its enlightening yoga and exercise classes. Opened in 2003 and nestled along the southern shores of Koh Samui island.. When the daily grind becomes a bit too stressful, when there’s just not enough time to take care of body and mind, perhaps it’s time to fly away to beautiful Koh Samui in southern Thailand and check in at the island’s popular Samahita Retreat. I’ll be honest – I had never really considered going on a retreat before. I’ve had friends who have done ones in various places throughout the world and they talked about juice cleanses and completely detoxifying their bodies (I’ll let you use your imagination there), and slightly bizarre treatments. Needless to say, they didn’t exactly sell it to me. Paul is one of the pioneering entrepreneurs in the wellness and well-being retreat world, having established Centered Yoga in 1999 in NYC and Samahita Retreat in 2003 in Thailand, leading the field in how yoga, fitness, body and mind hacks, detox, and meditation are all incorporated into the hospitality industry. Most spas seem to offer yoga as some kind of add-on. But Samahita Retreat, way down in the deep and unspoiled south of the island, comes at things from entirely the opposite direction. This is first and foremost a yoga centre, and it’s one of the best-known yoga teaching facilities in the world. If you’re after a tropical setting, warm weather and world-renowned teachers, Thailand is your new best friend. While tranquillity and serenity might not be synonymous with Koh Samui at first glance, look beyond the family-style resorts and crowded beaches, go off the beaten track and join the industry-leading Samahita Retreat. Take some time off but don’t lose sight of your fitness goals with these wellness holidays that include yoga retreats, fitness getaways and hotel spas. Where Is It : On the south coast of Koh Samui, Thailand. Why Go: More than just a yoga retreat, it’s a holiday destination which also offers spa treatments, detox and weight loss programs, meditation and core cycle fitness classes. Best For: Groups of friends, or couples looking for a healthy holiday destination. Three Things We Loved: The evening meditation classes, the therapeutic spa massage treatments, the early morning yoga classes. The Ultimate Factor: It’s nestled on a stunning beach. 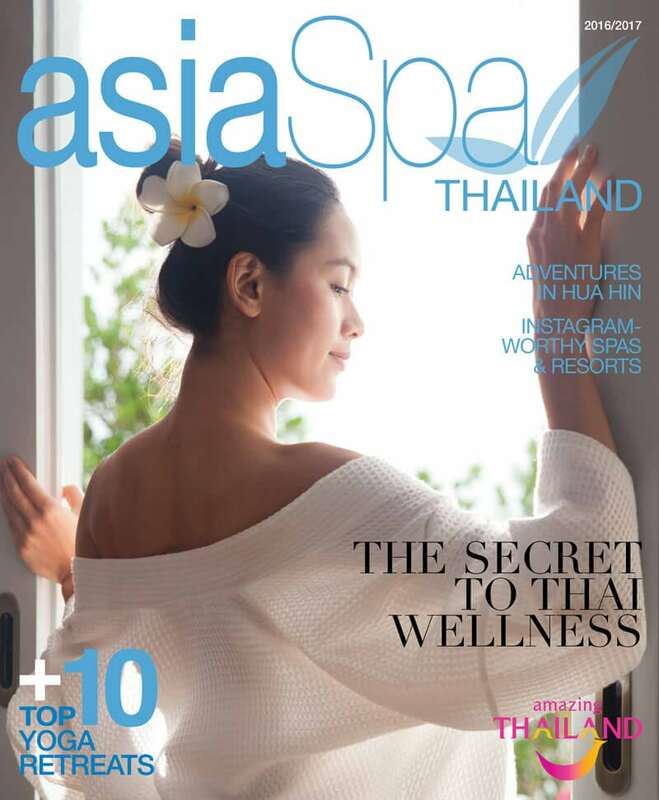 Thailand has become a popular destination for health and wellness holidays and retreats, with everything on offer from three-star eco-experiences to award winning luxury resorts. Nestled on a beach in Koh Samui, Samahita Retreat is one of the latter, as well as being the first retreats to offer a yoga core cycle and functional fitness program; for those who don’t know, that combines yoga, fitness, strength and cardio. Founded by Paul Dallaghan in 2003, it has become one of the best known and authentic yoga programs available. Samahita Retreat is set right on the long, unspoilt and tranquil beach of Laem Sor, on the south coast of Koh Samui. It’s nestled in a quiet and secluded area, well away from any crowds, busy roads or hedonistic activity. Surrounded by coconut trees and tropical wildlife, it is still close to markets and cultural attractions such as waterfalls and temples, for you to discover at your leisure. Originally started as Yoga Thailand by a yoga teaching couple in 2003, this center evolved into Samahita Wellness Retreat in a few years. Located on a pristine beach in a tranquil bay, it has three yoga studios including a beachfront yoga pavilion. Samahita’s calendar offers regular teacher-training programs drawing students from around the world for international teacher certification and visiting yoga teachers. It offers a variety of yoga (but it’s best known for Ashtanga yoga), detox and wellness retreats and packages, daily, short- and long-term. The open-air beach dining room is intimate and laid-back. The poolside restaurant offers organic, low-fat, high energy, mostly vegetarian food. Schöne Erlebisse sollte man erstmal sacken lassen. Sagt man zumindest. Und jetzt habe ich genügend Abstand, um von meiner Detox- und Destress-Woche im Samahita Retreat auf Kosamui zu erzählen. Ehrlich gesagt, ich möchte zurück, jetzt, sofort! Die Seele wiederfinden im Samahita Retreat auf Kosamui. Ich wusste nicht, was auf mich zukommt. Aber die sieben Tage haben ein Stückweit mein Leben und meine Ansichten verändert. Ich würde sagen, zum Guten hin, aber, nun ja, das muss jeder für sich selbst entscheiden, der sich auf so ein Experiment einlässt. Fangen wir mit Yoga an. Trotz einiger Kurse in Deutschland hat es mir nie so richtig Spaß gemacht. Das erste Mal, dass ich wirklich begeistert war, kam durch die Yoga-Lehrerinnen Summer und Tracy. Klar, auch, weil die Location zauberhaft war. Ein Pavillion am Meer in Thailand, sozusagen ein Übungsraum mit Aussicht. Sympathie hoch 3: Die Yoga-Lehrerinnen Amy (links) und Tracy. Ich gehörte zur Detox-Gruppe, also zu den Frauen, die ihren Körper entgiften und auch ihre Ernährungsweise umstellen wollen. Ja, tatsächlich, wir waren nur Frauen. Männer fanden sich dann eher in den anderen Gruppen, die Wellness-Tage mit Yoga, Meditation und veganer Ernährung ausprobierten. Eine Woche lang ernährte ich mich von Gemüse-Smoothies und Ayurveda-Shakes. Strikt! Die ersten zwei Tage hatte ich Glieder- und Kopfschmerzen, doch ab dem dritten Tag fühlte ich mich einfach fantastisch. Ich verspürte zwar noch Appetit, aber keinen Hunger mehr. Meine Yoga-Klasse besuchte ich dann nur noch am Abend, da ich Langschläferin bin! Und das Großartige waren natürlich neben den ganzen Wellness-Behandlungen auch neue Freundschaften zu den Frauen in meiner Detox-Gruppe: Ilona, die Kanadierin, die als Lehrerin in Shanghai arbeitet, die Anwältin Tuuli aus Helsinki, Daniela, eine Studentin aus Luzern, Life Coach Monique, die ein Bed and Breakfast in Amsterdam hat, Anja, Chemikerin aus Wien, Barbara aus Innsbruck, Paulina aus Singapur, Stephanie aus Zürich, Ann-Christin aus Oslo und Margi aus Holland. Gemeinsam lagen wir am Pool, schwammen im Meer und machten lange Strandspaziergänge. Das Retreat wurde zu unserem Zuhause. Sehr schnell! Zwei frische Kokosnüsse täglich – wie lecker! Gerade zweimal machten wir Ausflüge zum turbulenten Chaweng Beach, stromerten über einen Nachtmarkt und einen Tempel. Das war’s dann aber auch, denn wir sehnten uns nach der Stille und Abgeschiedenheit des Retreats zurück. Unsere Tage wurden bestimmt von den festen Zeiten, in denen wir unsere “Mahlzeiten” einnahmen. Ich hatte das große Glück, täglich zweimal den Saft von frischen Kokosnüssen trinken zu dürfen, worum ich von den anderen glühend beneidet wurde. Denn jede Fastenkur war anders und auf die Teilnehmerinnen abgestimmt. There are many fantastic reasons to come to the breathtaking Koh Samui island, off the east coast of Thailand’s peninsula, but the Samahita Retreat may well be the best. This wonderful yoga retreat in Thailand offers exercise-packed holidays with some of the finest yoga instructors around in spectacular scenery, Samahita is at the top of its class. As welcoming to mere beginners as to hardened yoga meisters, the open-plan dining area is where most guests mingle in between dips in the sea and yoga and meditation classes. When gurus such as Simon Low arrive, there is a certain buzz about the place, but generally a serene sense of calm casts over the cottage complex. The bedrooms that lead off the centralised garden, which is full of rainforest-esque wildlife, are white and minimalist, while the practice decks are out in the elements, with a roof to protect from the glaring rays but which doesn’t obstruct the views out to palm tree-lined beaches and beyond. Paul and Jumita run this idyllic sanctuary and take reign of the classes when retreats aren’t on. From hatha yoga and stress management practice, to Ashtanga Flow yoga, almost every notion of the practice is covered and is often accompanied with health, breathing and meditation lessons. The days at this yoga retreat in Thailand usually begin at a pleasant 7.30am with Day Opening rituals to introduce the body to a new day of practice and continue with three classes throughout the day, usually coming to a close with meditation. On-site the pool and herbal steam room are popular after workshop hours as guests chill out and chatter. When it comes to food, I’m no angel. I’m blissfully happy indulging my palate with things that are bad for me. Succulent steaks, crispy bacon, mounds of pasta, fried checken wings, spongy cakes and creamy lattes are things i wouldn’t dream of saying no to; the cruellest way to torture me would be to separate me from my favourite foods. So, when I checked into the Samahita Retreat in Koh Samui for a one-week detox programme, I found myself staring at a very thick detox guidebook, a daily schedule of detox herbs, pills and colon cleansing sessions, and I heard my stomach howl in fear. Take time out to renew your mind, body and spirit by exploring new places while having wonderful experiences. The Samahita Yoga Retreat in Thailand will give you the best of both worlds, a vacation and wellness in one. Samahita Retreat was established in 2003 on the island of Koh Samui, and has been called by many a “hidden gem”. Owned and directed by yoga and lifestyle teacher, Paul Dallaghan, the Yoga retreat center has been a location for practice, learning and holiday for literally tens of thousands of guests from all walks of life over the years. Originally known as Yoga Thailand, the yoga retreat center has grown and developed over the years and now encompasses a wellness center as well as its traditional yoga offerings. Samahita translates from Sanskrit as “centered” or “balanced”. To find balance is key – in daily habits, in weight management, in dealing with stress. Samahita Retreat is home to Samahita Retreat, Centered Yoga and Samahita Wellness Thailand, three distinct entities that share a single purpose: to provide both the tools to work on yourself through specific practices and dedicated programs as well as the environment within to learn, change and renew. This is a personal mission and one we are committed to share with you. Centered Yoga is a leader in the field of yoga education and teacher training. Since its founding in 1999 it has been offering courses for professional yoga teachers, those aspiring to become teachers, and serious students seeking to go deeper in the practice. We have earned the reputation as Asia’s most respected and longest running Yoga Alliance Registered Program both at the 200 and 500 levels and one of a few so well established and experienced in the world. Samahita Wellness Thailand offers a complete approach to well-being, one that takes into account physical, spiritual, emotional, and mental aspects of one’s health. We offer several personalized and guided Detox, Healthy Weight and De-Stress programs, for either the first timer stepping into healthy approaches or one already in yoga and health to take your practice a step further while transforming your body and mind. All backgrounds of people join us here, whether yoga students, from beginners to advanced, those looking to lose weight and get healthy, regenerate from a stressful life to a holiday with all the healthy perks. It is the kind of place where someone traveling alone can meet people and feel at home, and where families can relax and enjoy themselves. (We offer many services for parents of young children, who might not have much time for their own time or yoga back home.) Even partners who don’t do yoga or wellness find our setup perfect for them while their other half gets on with the yoga and treatments! In short, all are welcome. Spa Junkie’s week-long yoga programme at Samahita Retreat in Thailand is drawing to a close. Morning practice. Things have improved remarkably since I tweaked the diet. There is a great deal to be said for a focused retreat versus my twice-weekly classes in London. The advancements in my practice are beyond my expectations, and I am now doing headstands unassisted. I hold the pose for so long, it feels as though all my blood is in my head when I come down. The middle of the days are ours to fritter away as we wish. Most spend time at the pool, but the resort also books boat and car excursions for those wanting to venture off premises. In the afternoon we do technique class as well. And in the evening, kirtan – call-and response chanting. Maria and Rod sit at the head of the class and chant hymns. They use a keyboard and a harmonium and Maria’s voice is otherworldly; soon we are all seemingly in a trance. Today’s the day for ftill integration of the beginner class into the Mysore room. All of us disperse among the advanced practitioners, so we can observe and follow the seasoned (or use the sheet, if need be). The girl next to me tells me about “experiencing such empowerment… to practise on my own, at my own pace yet getting help from two teachers, and also sometimes go to the wall with props to work with… and to get to ask questions afterwards, address injuries…” Clearly she’s loved her week thus far. “I have been doing Ashtanga for 20 years, and have had several injuries and bad teachers,” said one of our company during that final Satsang session, a guy I have kept in touch with. “What they showed me in that week renewed my hope for the practice.” For my part, I have left Thailand lithe and emotionally restored; but more than that, I feel empowered. What Ron and Maria have taught me is invaluable. To have been given a “self-practice” I compare with being taught meditation. It allows me the freedom to practise at any time and in any place, which for a business traveller like me means a full mind and body workout when I need one, with or without the gym. Not only have I lost a few kilos, but in a week my bingo wings have vanished and I feel long and lean. Call it science or call it sorcery; but all these bankers going long on yoga are hard to ignore. Imagine a place you can go, to spend some quality time with yourself. And by ‘self’ i actually mean your metaphysical or spiritual self. Samahita Retreat is an oasis unlike any I have seen or experienced before. Tucked away on the southern part of Koh Samui, in Thailand, it’s a sanctuary dedicated to yoga, wellness and a balanced lifestyle. I’m attending a month-long yoga teacher intensive here, led by the dynamic and inspiring Stephen Thomas. One week in, and I’m beginning to see why so many people, yogis and others alike, consider this place a home away from home. The schedule can be grueling: getting up at 6am every day, spending several hours in the morning doing breath work (pranayama) and yoga postures (asanas). Besides the physical activity, there’s much to think about too, with classes in philosophy and anatomy in the afternoon, followed by more yoga asanas. I have found the classes in yogic philosophy particularly stimulating. The idea that ‘pure consciousness’ is all around and within us, that the universe (yes, that includes you) is nothing but vibrations of varying frequencies – these concepts force you to stop and think, and look at the world a little differently. The environment here supports that personal discovery. Tucked away on Koh Samui’s unspoiled southern shore, Samahita Retreat combines the soulful tranquillity of a yoga ashram with the creature comforts of a boutique resort. Featured in the Taschen book, Great Yoga Retreats, the centre was founded in 2003 by New York yoga teacher Paul Dallaghan and his Thai- American wife Jutima, and boasts an enviable ocean-side location and meticulous ecoplanning (solar panels heat water; bathrooms are stocked with biodegradable toiletries). Alongside its yoga programmes, Samahita Retreat offers a range of supportive therapies such as ayurvedic and Thai massage, reiki and reflexology. Miami-based yoga teacher Kino MacGregor teaches a popular ashtanga yoga programme here and is effusive about the resort: “More than a yoga retreat, Samahita is a paradise where travellers and yoga students from all over the world come to heal their bodies and minds.” Ashtanga too much for you? Choose the ‘simple balanced living’ retreat for some gentle re-balancing, or the more intensive ‘de-stress programme’ as a respite from a high-powered lifestyle, with classical hatha yoga, coupled with breath-work to soothe overworked adrenal glands. Kerri Kelly experienced the power of yoga firsthand when she mourned the loss of her stepfather after the September 11, 2001 tragedy in New York. “I was in one of the many yoga classes I attended during this painful time, when I realised how my yoga practice gave me the space I needed to cry, to mourn my loss and eventually to heal.” That was the transformative ‘it’ moment for Kelly, who quit her corporate advertising job and moved out west with the intention of studying yoga more deeply and eventually teaching. Today, 10 years after taking her first yoga teacher training course, she is a well-regarded teacher in the San Francisco Bay area. Her dream of teaching yoga is a reality. Samahita is on Koh Samui, but don’t panic – situated on Laem Sor beach on the south coast, it’s at a safe distance from the debauchery of Chawang. Eco-friendly buildings use natural lighting, rainwater harvesting and solar power. Yoga and fitness are taken very seriously here and the retreat is costly for a Thailand getaway. As such, guests tend to be extremely driven, with fixed goals of improving their practice, gaining yoga qualifications or learning about yoga philosophy. They specialise in Ashtanga Vinyasa yoga, and one of the teachers was directly certified by Sri. K. Pattabhi Jois, who developed the style. Guest teachers are regularly brought in for focus retreats and workshops, teaching pre-natal yoga, pranayama and other specialist topics. Classes are taught in the retreat’s yoga shala which overlooks the meditation garden, beach and pool. Reiki training, healthy cooking and massage workshops are available, or you can join a group barefoot run. Samahita is close to Laem Sor Pagoda, some interesting shopping areas and numerous walking routes. The yoga is focused and intense, and if you’re booked in for one of their detox programs, your diet will be extremely limited. Alcohol and smoking are not allowed. But no pain, no gain, eh? Geniet van prachtige natuur en kies uit een breed scala aan yogalessen op het Thaise eiland Koh Samui. Stepping out of the coolness of my air-conditioned car straight into a warm cocoon of peace at the Samahita Retreat, I feel my body instantly relax. The balmy evening air is laced with lingering spice and a hint of incense that lifts the weight of the world from my shoulders. Emerging from the smoggy heat and chaos of Bangkok to the island escape of Koh Samui, destined for a week intriguingly entitled ‘Yoga & the Art of Healing’, I’m eager with the promise of shedding my winter skin. Under the watchful eye of Claudia Jones, it doesn’t take long for me to surrender to a daily routine, all early rising, herbal tea, long breathing workshops and sandy beach Ashtanga yoga classes. Mouth-watering brunches give way to afternoons of slightly self-indulgent relaxation and contemplation, lounging in the salt-water pool to soothe away the yoga aches and, according to Claudia, refreshing my lymph system – a vital part of any detox regime. Watching the sun set from the herbal steam room, and retiring to my suite after a divine evening buffet, I try to remember who I had even been before this most heavenly of routines had begun, twelve hours earlier. I realise that my shy inner ‘yogi’ has finally surfaced from the recesses of my mind. It’s the end of the week and I’m entirely relaxed – and couldn’t feel further than the 14,000 miles I am from home. I’ve swapped my prized creature comforts for simple luxury, with a queen sized bed, air-conditioning and some seriously healthy meals for company, and let life go a little. Though I know I can’t delay the inevitable, and will soon be making reluctant steps towards the long journey home, I know that I’ll travel soundly, safe in the knowledge that I’d be able to re-find my yogi back in London with more than a few simple tricks in my pocket. Stress is something we all live with, right? Whether it’s the pressure of a punishing work schedule or a busy home life, it’s not unusual to feel like there aren’t enough hours in the day. Some forms of stress are good for us and motivate us to achieve, but chronic stress – the kind of stress that seems inescapable and is ongoing – is a serious no-no and can cause illness and disease if left unchecked. Recent studies suggest that three in four people experience stress at troubling levels, the side effects of which are anxiety, depression, weight gain, heart disease and stroke, hair loss, diabetes, sexual dysfunction, infertility, low immunity, ulcers and cancer. That’s the bad news; the good news is that chronic stress can be avoided through wellness education. Here we look at some of Asia’s best stress-busting retreats and their techniques to boost energy and maintain balance, no matter how hectic life gets. The beautiful island of Koh Samui, off Thailand’s East coast, has become a hotbed of yoga in the last few years. Vor wenigen Jahrzehnten waren Yoga und Ayurveda im Westen annähernd unbekannte Größen. Heute sind sie Mainstream, das eine als Alternative zu Sport, das andere als Vorbeuge- bzw. Komplementärmedizin. Worum geht es dabei? Ein Selbstversuch in zwei Etappen. Holidays are conventionally all about being indulgent and treating yourself, but more often than not you return home needing an extra holiday to get over your holiday. Planning your time away around a health retreat may sound like it’s taking the fun out of your valuable time away from work and everyday routines, but in fact you will be treating your body and mind in a far better way and they’ll thank you for it with higher energy levels, a more positive outlook and possibly some inner demons that have been put to rest on your return. Thailand’s mix of natural beauty and spiritual culture makes it an obvious choice for a retreat, and there are several to choose from, whether you simply want to relax, tackle weight or serious health problems, or embark on a detox. Word of mouth works particularly well when it comes to recommending retreats, as does the glowing appearance of friends or family who have just completed a cleanse. Chiva-Som’s popularity among Hollywood stars, not to mention its long-standing reputation as one of the pioneering retreats in Asia, works strongly in its favour, while at Kamalaya a recent slew of industry awards has shone the spotlight their way. At the Four Seasons Koh Samui, guests this page: A dreamy alfresco treatment at the Indonesia Spa, Six Senses Sanctuary, Phuket. opposite page: The view from the balcony suite at Anantara Si Kao. Mandarin Oriental Group Director of Spa Andrew Gibson has created a retreat at the Mandarin Oriental Dhara Dhevi that “can harness the best of our talent to the benefit of as many guests as possible.” Providing more than just spa, the resort’s wellness retreats introduce guests to gentle programmes that address weight problems, bring down stress levels and help to generally detox, while also giving them the opportunity to explore Chiang Mai. Wherever you choose to ‘treat’ your body and mind, retreats can be just as much fun, and infinitely more rewarding, than a conventional holiday. A kick start to new positive habits and long-term holistic health, it’s no wonder this spa trend has caught on big time. Samahita Retreat, Koh Samui You can choose from wellness, detox and yoga retreats at Samahita, founded by Paul Dallaghan and his wife Jutima. Graeme and Carole Bradshaw lead regular Yoga Detox retreats, and there’s Jessica Blanchard and Paul Dallaghan’s Evolving with Ayurveda. On Laem Sor Beach, the resort’s Wellness Centre for spa treatments, colonic irrigation and farinfrared sauna supports detox programmes, while Sattva Restaurant focuses on serving up food that gives your digestion a holiday too. Serious yoga aficionados should look no further than Samahita Retreat, a small “home from home” facility set in Samui’s deep south on the quietest beach on the island. Living the talk, instructor Tiana says that staff at Samahita Retreat keep things “honest, simple and sincere,” believing that yoga isn’t just about asanas: healthy clean living plays its part, so all food is organic vegetarian and sugar-free, yet delicious. Yoga retreats or training can be accompanied by a no-nonsense yet nurturing detox at the integral Samahita Wellness facility – and personalised regimes are available too. Architecture is functional rather than aesthetic, but, as to be expected, the ecoemphasis is high. The idea is to leave here rejuvenated and relaxed , but, more importantly, empowered on many levels. The Samahita Wellness Centre provides an authentic yoga retreat and impeccably managed detox programme against an inspiring tropical island backdrop. We were so thrilled to be invited to the first residential Samahita Yoga and Detox retreat on the beautiful tropical island of Koh Samui. The centre has always offered yoga residentials, but this is the first time the centre has run a dedicated detox stay. In my time I have been to many retreats around the globe with the yoga, health and wellness “theme” to it. But none seemed to quite hit the spot as Samahita Retreat in Koh Samui did. Perhaps this is one reason why I keep coming back. Unlike other wellness centres around Asia and globally for that matter, Samahita Retreat offers something the others don’t. SINCERITY. This teacher – owned, teacher – directed Hidden Gem is the genius of Paul and Jutima Dallaghan, who have instilled a sense of balance to this unique place on all levels. With a home away from home atmosphere, (but not lacking the comfort and chiq-ness we are used to) this niche 28 room retreat and wellness centre offers a proper understanding and teaching of yoga for beginners and non beginners a like. With a beautiful and well- equipped wellness centre providing detox programs and treatments tailored for you, it is a complete embodiment of health and wellness on every level. Where other “spa type” retreat and wellness resorts have a very stagnant almost Club Med feel, Samahita Retreat provides personal, dedicated and unique attention you just won’t find anywhere else. As Hong Konger’s we often cannot seem to take too much time off, so with direct flights to Koh Samui on Bangkok Airways, there really is no reason not to go. Go pamper yourself. Go get a detox 3,5,7 days and come back and make all your friends jealous. Check out www.samahitaretreat.com for more details. Well worth the trip! Do it for your health. Take a deep breath when you reach the full stop at the end of this sentence. Now exhale. Again: deep inhale, feel the cool air as it moves through your nostrils, see your abdomen and chest expand; now exhale slowly through your nose, the same air coming back out warm, feel your face relax. Last time, and now don’t read on, just breathe. And smile. Plug your ears with your fingers and listen to yourself breathe. When in 2001, with modest savings, Paul and Jutima squinted at the light at the end of the Lincoln Tunnel, they were leaving not only New York and their former years in training as yoga teachers behind them. Their destination was Los Angeles, their next stop Bangkok, Jutima’s place of birth. Before they founded Samahita Retreat, they travelled to India in order to study in Mysore with their teacher Pattabhi Jois and his grandson Sharath. Miles from the thrum of Chaweng beach, with its tandooried Euro backpackers, designer fakes and pesky touts, is one of Koh Samui’s hidden gems: Samahita Retreat. Irishman Paul Dallaghan and his Thai wife, Jutima, established the yoga centre six years ago after relocating from Manhattan to raise their family. The result is a dedicated yoga retreat, a place where yogis aspiring or experienced can take up residence and immerse themselves in traditional ashtanga vinyasa yoga, the discipline responsible for 51-year-old Madonna’s rock-hard physique. Paul and Jutima Dallaghan’s Ashtanga Yoga shala (school) and retreat center may be the only smoke- and alcohol-free getaway on the island of Koh Samui. The couple opened Samahita Retreat in 2003 after living and teaching in New York. This year, they’re relocating to the southern part of the island and reopening just in time for their annual Christmas and New Year’s Retreat. The new center can accommodate as many as 60 guests. Its eco-design features include rainwater harvesting and solar water heating. Paul has been teaching constantly since he arrived on Koh Samui in 2001 when only a small number of yoga studios existed there. He believes strongly that yoga’s spread can not be attributed directly to the influence of people, but will spread organically through the effect of yoga itself. Some of the world’s leading yoga teachers have come to Samahita and offered their praise and share their experience. Samahita Retreat Brochure and Factsheet with links to media approved images and Centered Yoga Training Info. Please Fill Out this Form to Reach Our Marketing Department.